To increase your seating area add some outdoor chairs, benches, and couches. 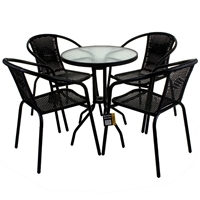 Outdoor seating can give you another location to get-together with family and friends. Grab some lemonade or read a book in the cool fresh air on your outdoor seating. An easy way to increase the value of your home is with some wooden furnishings giving a natural feel to the area. Wood is known to be durable and maintains its appeal in any weather. Wood furniture will hold it look for many years. 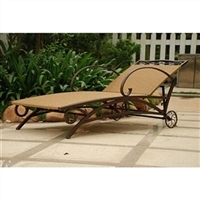 Long chairs, referred to as chaise longue, are also common items. Recently seating furniture has been used for conversation areas using items like couches. *Park benches are set as seating places within public parks and vary in the number of people they can seat. 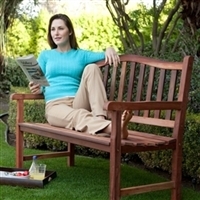 *Garden benches are similar to public park benches, but are longer and offer more sitting places. *Scenic benches are situated to provide a comfortable means of enjoying the contemplation of a beautiful landscape, a busy street scene, or perhaps a specific event. *Perch benches are usually situated in high traffic areas to enable people to take a quick break. *A storage bench is a combination of sitting space and a storage box, often used for keeping gardening supplies or grill equipment. *A form is a backless bench that was used for seating in dining rooms, school rooms, and law courts. Having a chair that rocks is a welcome addition to almost any home. Rocking chairs can help relax and soothe adults, calm babies and can become a beautiful heirloom to hand down through generations over time. A rocking chair or rocker is a type of chair with two curved bands attached to the bottom of the legs, connecting the legs on each side to each other. The rockers contact the floor at only two points, giving the occupant the ability to rock back and forth by shifting their weight or pushing lightly with their feet. 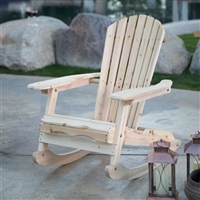 Rocking chairs are most commonly made of wood. Many adults find rocking chairs soothing because of the gentle motion. Gentle rocking motion has been shown to provide faster onset of sleep than remaining stationary, mimicking the process of a parent rocking a child to sleep. Rocking chairs are also comfortable because, when a user sits in one without rocking, the chair automatically rocks backward until the sitter's center of gravity is met, thus granting an ergonomic benefit with the occupant kept at an un-stressed position and angle. Put a European look to your patio with French bistro furniture. This usually has a table with two chairs and some have four seats. Bistro usually refers to a place like a cafe where food and drinks are enjoyed, and a place for conversation with family and friends.